You have asked and we have listened! The suggestion box has been opened and a lot of great ideas have spawned from it. The most frequent desire is more classes, so you ask so you shall receive! The 2012 schedule is being expanded as we speak! What can you expect? Classes being added to both the morning and evening schedule, including –> more kids classes, more more beginner classes, more advanced classes, more no-gi classes, more muay thai classes! Also look for later class times and new programs such as “Junior Grappling”, “Advanced Grappling”, “Competition Team Practice”, and more! We will not be open 24 hours but you can expect near 60 hours of scheduled classes per week! Also many student have suggested more special events such as workshops, field trips, seminars, tournaments, and socials! We love the ideas. You can now expect a special event on the last Saturday of every month on 2012. Some of the events? Of course Arte Suave Days but in addition you can expect cookouts, tournaments, and even a “cosmic rolling” day! Also expect in 2012 some of the biggest names in Jiu Jitsu, MMA, and Judo to be gracing the mats at Scranton MMA. 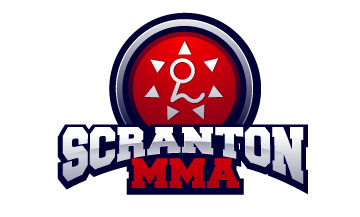 We will also be adding a student resource center to our website that will have lots of great web resources for students and also a forum section on the website for Scranton MMA members to share ideas and stay abreast of all things Scranton MMA. Also in 2012 a monthly newsletter and so much more! Things you won’t be seeing in 2012? A sushi bar, cigar bar, or in-house housing! Sorry guys, great suggestions but not going to happen….YET!